Diabetic Christmas Cookies – 10 easy low carb cookies recipes, 100% Sugar free to make this Christmas. Sweet treats that all friends and families will enjoy with NO sugar. Sweetened with stevia or erythritol. How to make Diabetic Christmas cookies ? You know how much I love sugar free cookies sweetened with natural sweetener right? 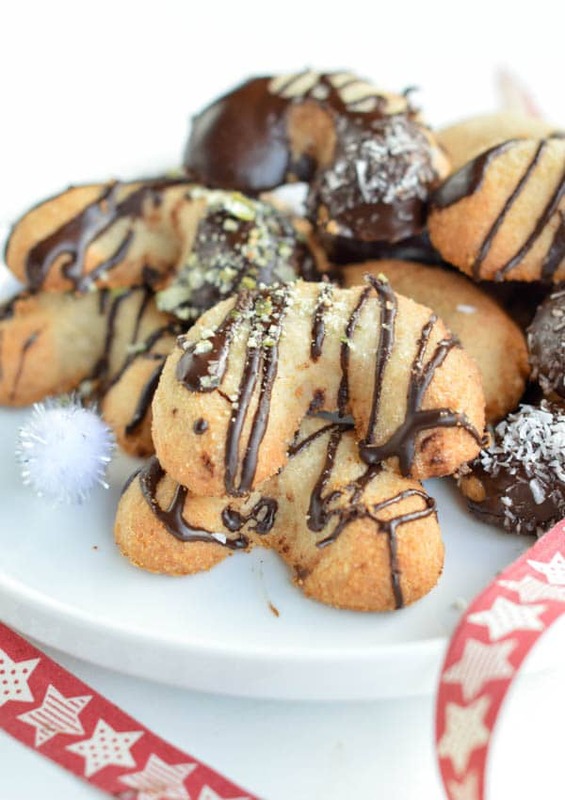 As Christmas is coming I thought it will be the right time to share my favorite recipes of diabetic Christmas cookies. I had pre-diabetes, my mum is type 2 diabetic and every year we enjoy diabetes friendly cookies for Christmas. So first let’s me tell you what makes a Christmas cookie diabetes-friendly? 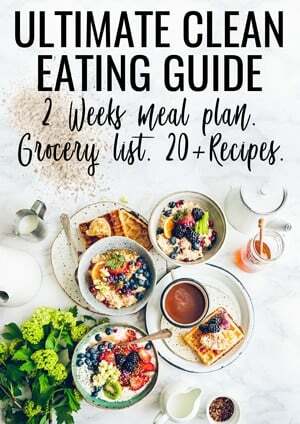 Low carb flours are rich in fiber which means they will slow down the sugar absorption by your body plus fiber are very fulfilling and you won’t overeats cookies. Without saying that fiber are amazing for your gut health too! In my low carb cookies recipes I love to use those low carb flours. Below is a list of delicious healthy low carbs flours (o meal) that can be used in diabetes friendly cookies. Stay away from the artificial sweetener and focus on natural sugar free sweetener. All those natural sugar free sweetener contains almost NO carbs, barely few calories, won’t impact your sugar level and taste good ! Great to use as white sugar replacement, usually those brand can be swap 1 cup for 1 cup. Swerve: Sugar free crystal sweetener made of blend of erythritol and stevia. Exist in sugar free confectioner too. Perfect to adjust sweetness of your baking without impacting the texture or to enhance drinks sweetenes. Drops doesn’t add bulk in baking so I never use it as a whole recipe sweetener. 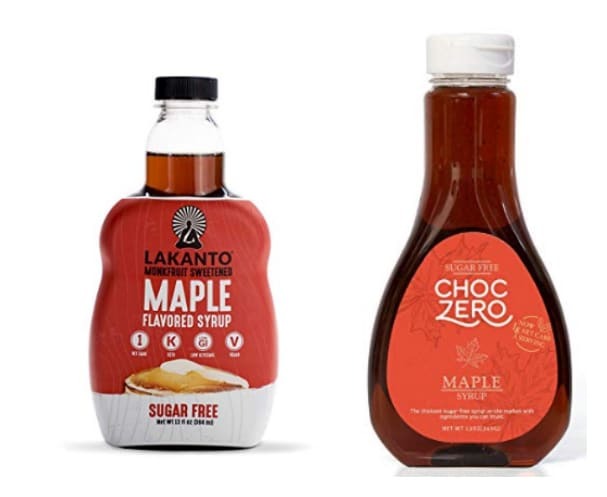 The best way to replace liquid sweetener in recipe like honey or maple syrup. This natural liquid sweetener is made of Monk fruit, it is a low carb sugar free fruit like stevia, it had sweetness without the carbs. That is all you need to know to make delicious diabetic Christmas cookies this year. 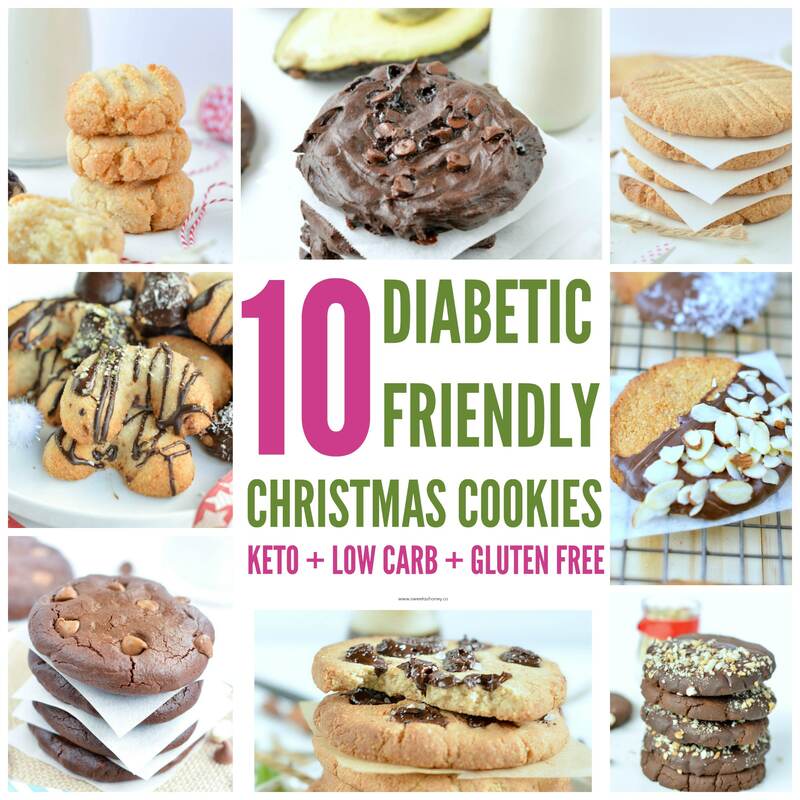 So now that you have all the ingredients let’s have a look at my top 15 diabetes friendly Christmas cookies recipes. 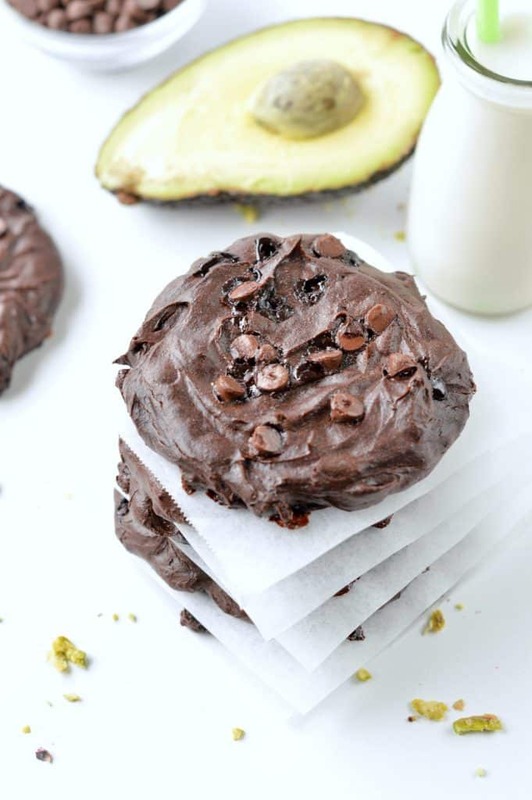 Chocolate Avocado cookies – vegan option ! Those are for the chocolate lovers! A delicious fudgy chocolate cookie made in few minutes in the food bowl of your food processor with 5 simple ingredients and healthy fats from avocado. 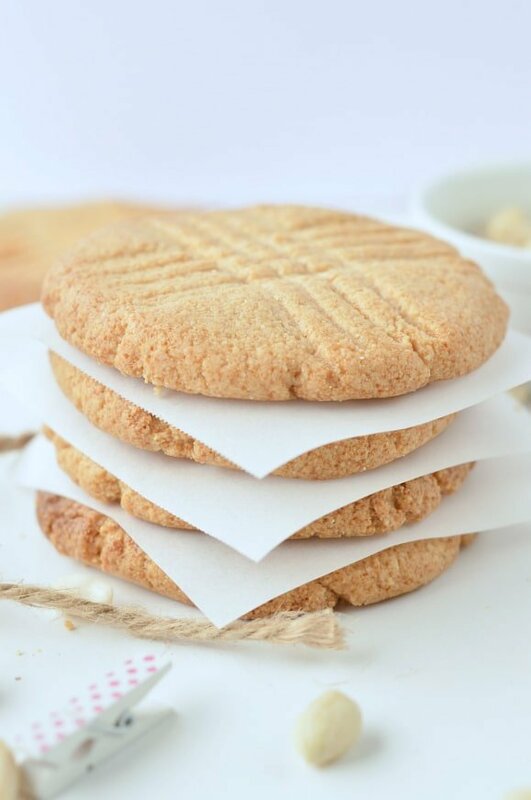 A crunchy buttery peanut butter cookie made with NO eggs, almond flour and sweetened with sugar free crystal sweetener. 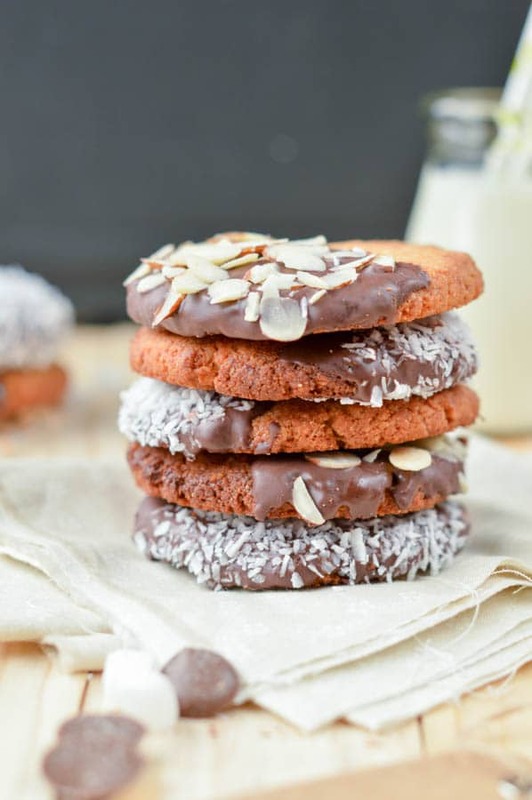 A crunchy cookie that combine almond meal with unsweetened desiccated coconut. Sweetened with sugar free liquid sweetener. Those are melt-in-your mouth shortbread cookies made with coconut flour and 5 simple ingredients. Egg free option provided. 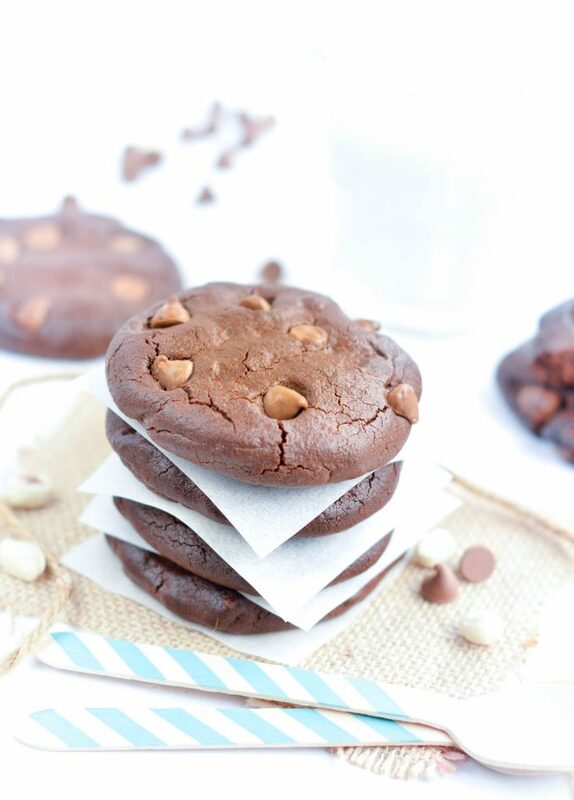 A flourless chocolate peanut butter cookie sweetened with sugar free flavored maple syrup. 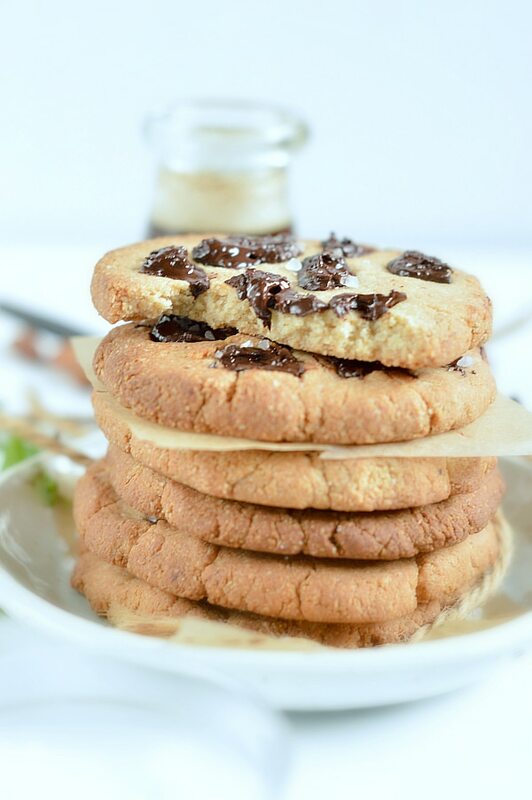 One bowl crunchy cookies with a delicious coconut cashew base, sweetened with sugar free crystal sweetener. 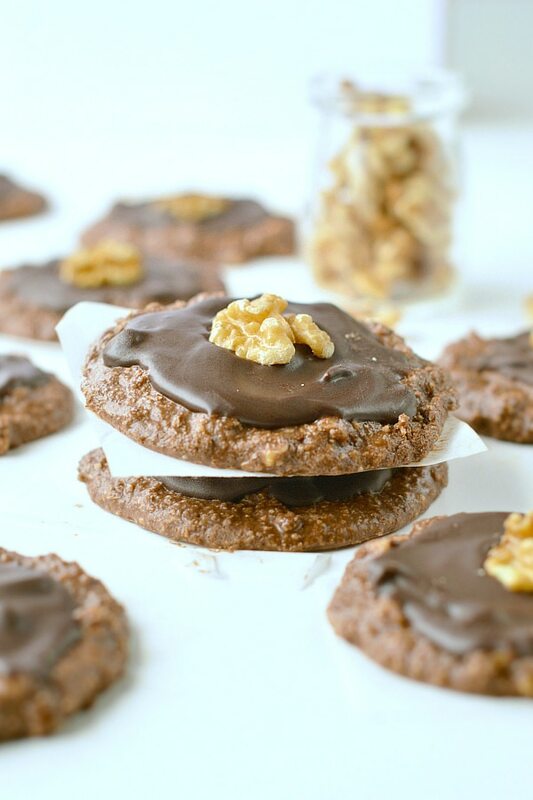 A 15 minute no bake keto cookie with delicious walnuts and cocoa flavors. There is no Christmas cookie box without a delicious shortbread cookie. 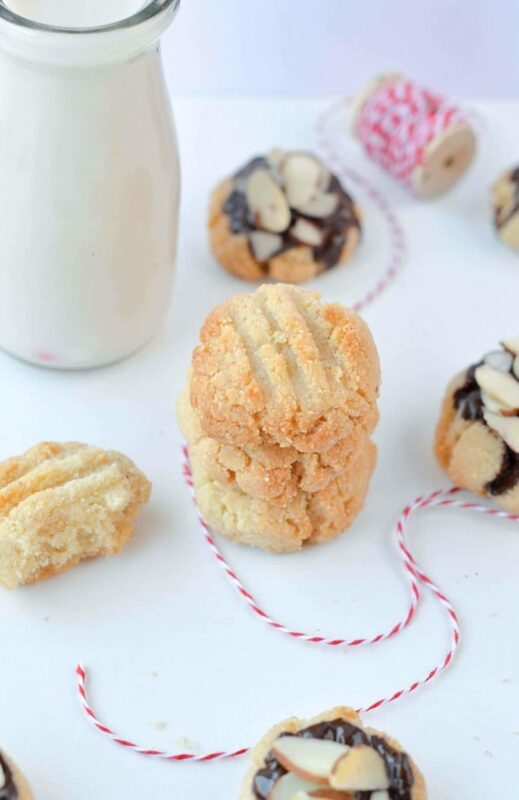 Everyone will love those almond meal shortbread cookies. 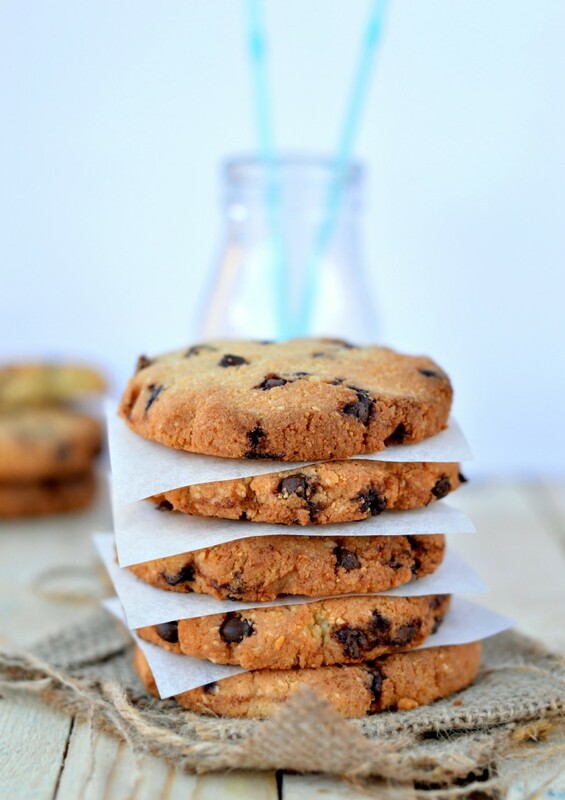 An all time favorite, keto chocolate chips cookies made with almond meal and sweetened with sugar free liquid sweetener. 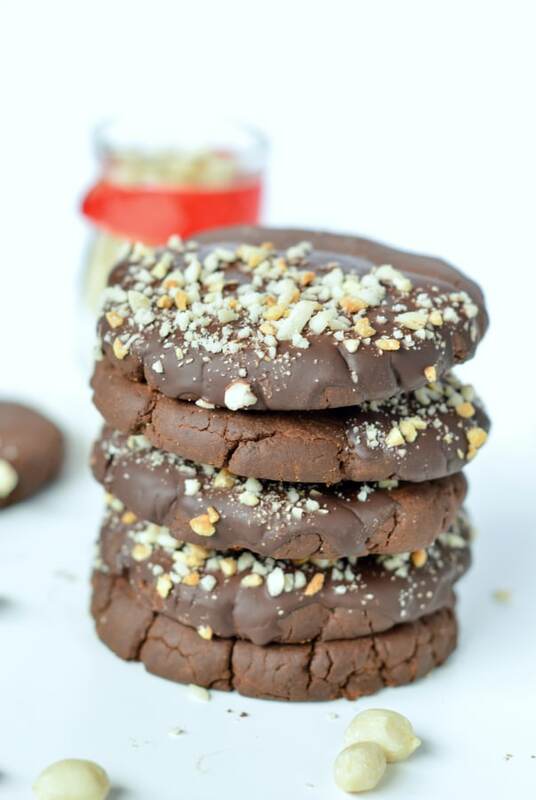 A delicious crunchy keto chocolate peanut butter cookie that is also egg free !